View of the right wing, showing the 'flaps down' indicator pin sticking out. 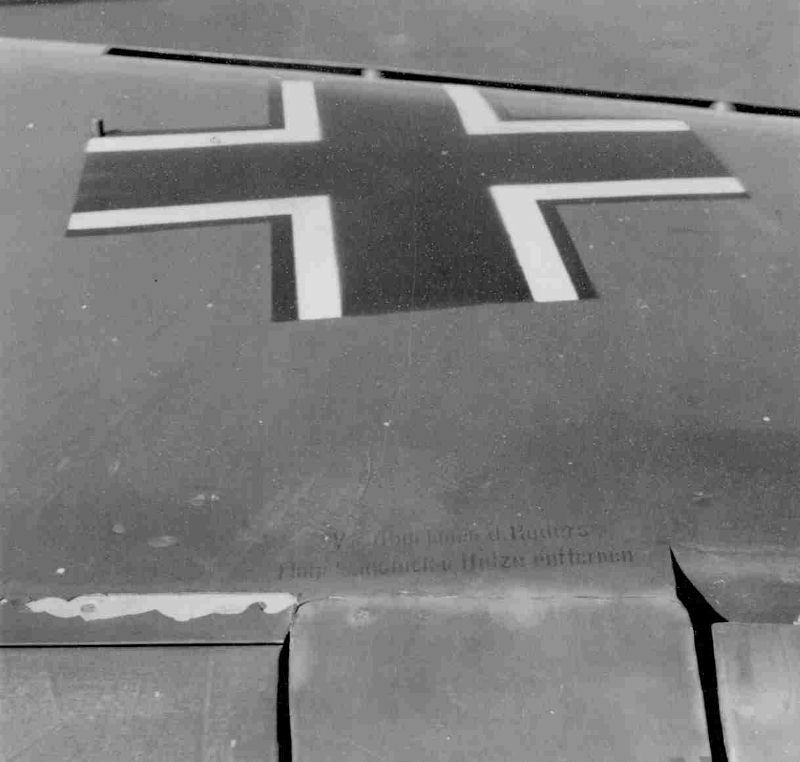 The wing cross is clearly aligned with the aircraft's axis (as per Luftwaffe painting instructions), and not the wing sweep angle. At the bottom of the photo, a stencil is seen, reading something like 'Vor .... d. Ruders, ....... entfernen'. This stencil was not known to be applied to Komets.